Congratulations, Carol. You completed your golden shovel with a festive spring theme. I saw my first one this afternoon, at last, Carol, and "so very yellow" in the midst of all that "whitebrowngray". I love the metaphor of dance you used with your golden shovel! And I do love Fletcher's poem too. I imagine there could be a book full of daffodil poems, don't you? Love your golden shovel... trying to find my perfect line and work up the nerve to try it. I like those new colors you created! And fancy little preview. Dancy... spellcheck changed the word! What a fabulous Golden Shovel, Carol! I had not thought of Ralph's book in a long time, now I think I will try this poetry exercise with my students the first week of Spring - thank you. Oh, Carol, what a simply gorgeous poem! I'm in aw of your facility with this form. I love the way you used redpinkpurple and whitebrowngray. I'm with Jone. I think Ralph Fletcher would love this. Your poem is lovely! I've been a huge fan of Ralph Fletcher's writing since I first hear him present to a group of teachers over twenty years ago. Thank you for reminding me to reread Ordinary Things! What a gorgeous poem! Now I will always think of the daffodils as spring ballerinas being bold. It’s lovely, just like the daffodil that appeared in my yard today! I’m wondering if you’ve come across one yet. Well done, Carol! Such a wonderful image of spring dancing around like a ballerina. I am ready for more spring performances! I love your Golden Shovel. I am trying to gather the courage to give one a go. Well done. Beautiful spring daffodil poem Carol, it flows effortlessly, thanks! Definitely successful with your golden shovel! I love the image of daffodils as ballerinas. It reminds me of Wordsworth's poem on Daffodils. 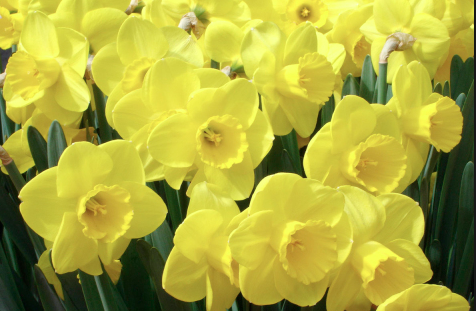 LOVELOVELOVE your ballerina daffodils! I'll never look at them the same way!